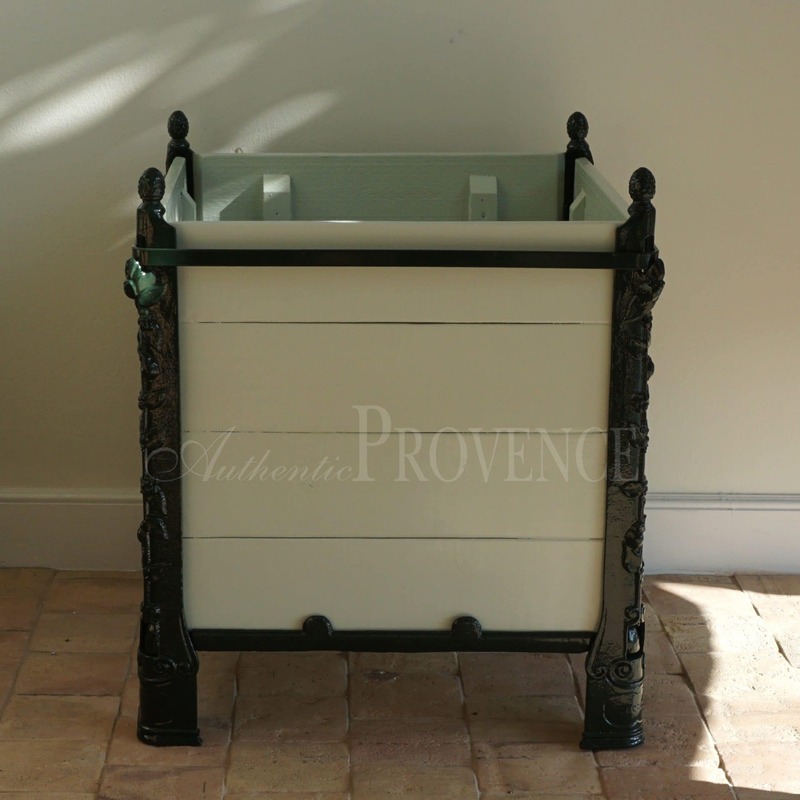 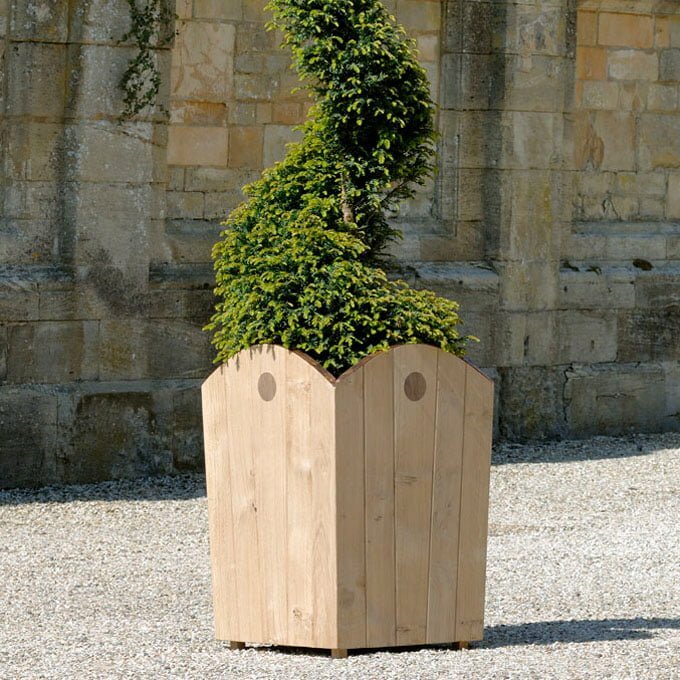 Our hardwood planters always stand for functionality as well as design and quality. 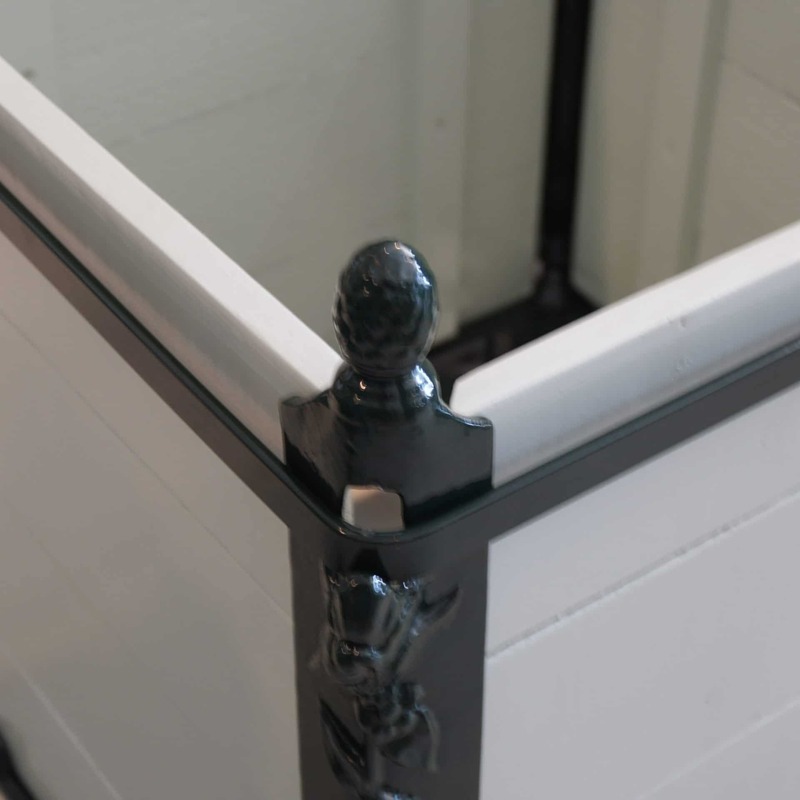 The shapes offered are either square, round or tapered, often combined with galvanized metal finishes or wood finials. 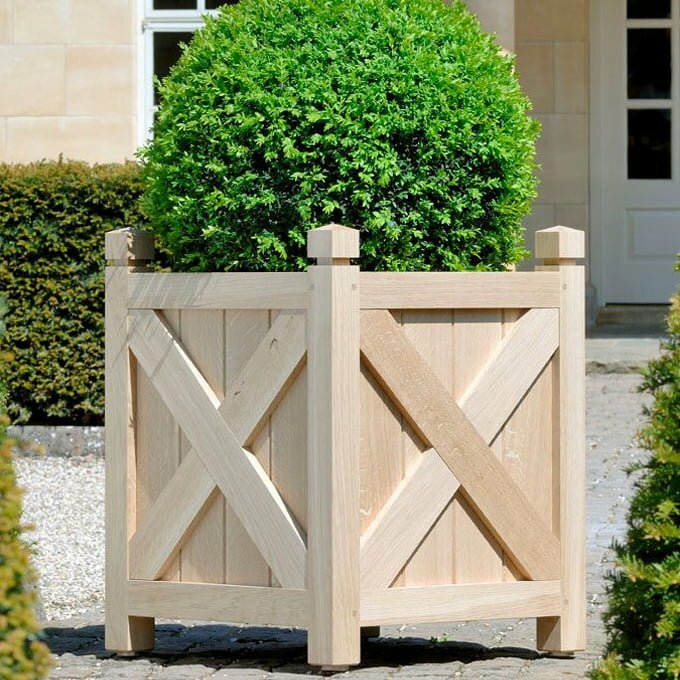 The wood has a rustic appearance and great durability as a result of the drying process. 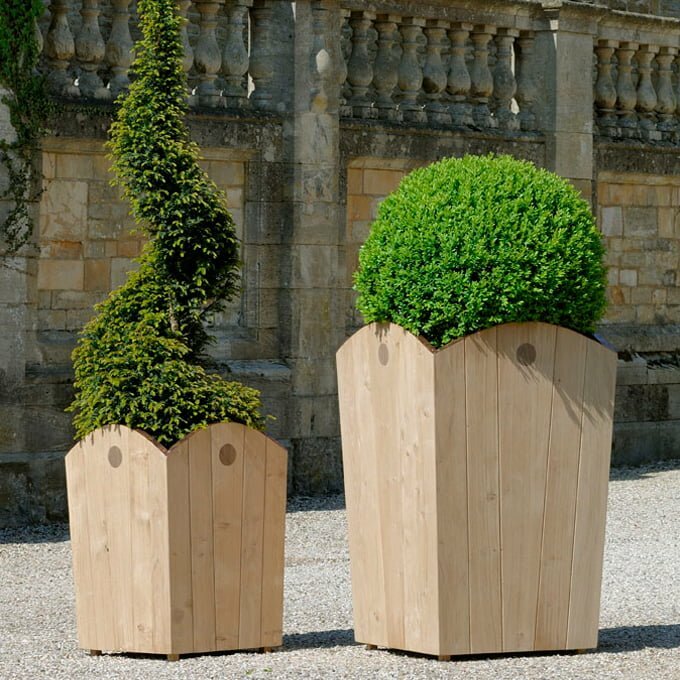 These planters boxes are made of oak or tropical hardwood. 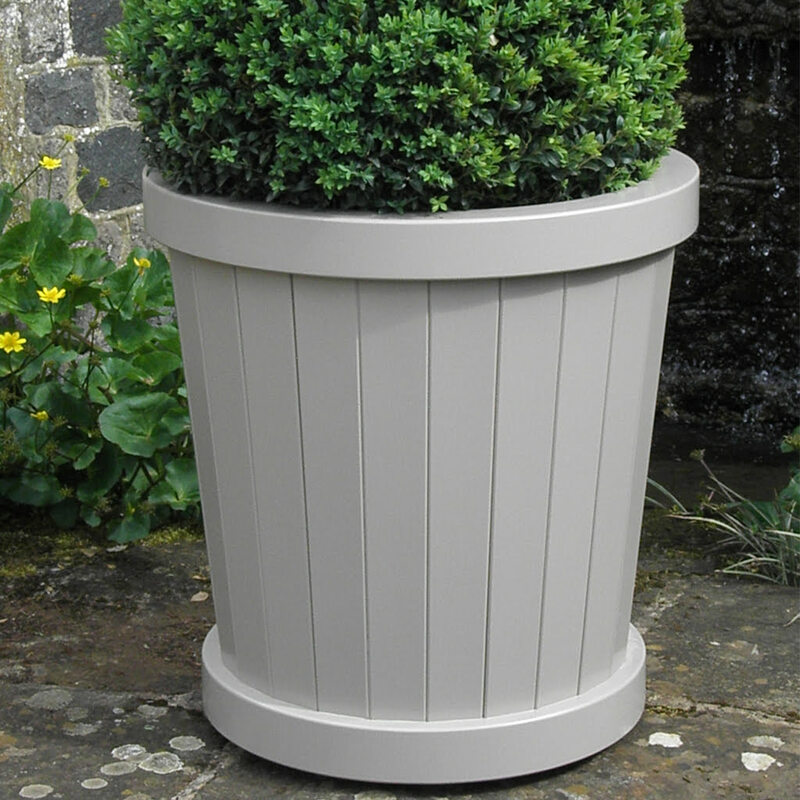 The exposure to sun and rain will give them their natural silver hue.